Be happy: Unity 7 lives again! 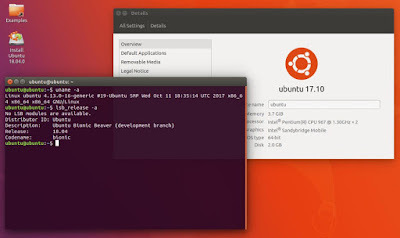 Recently, a new project has been started to develop an Ubuntu variant that uses Unity 7 Desktop, called Ubuntu Unity Remix, proposed to be official flavor next year, based on the currently-developed 18.04 "Bionic Beaver". You can download the 64bit ISO image today (links below) and try it. Also, here you find links and info about the project, including who are the people and where we can offer our contributions. This article is divided into 2 parts, first part gives you info & links, while second part gives you a short review. This project calls for developers, supporters, and contributors; and this article is my support for them. Subscribe to UbuntuBuzz Telegram Channel to get article updates directly. 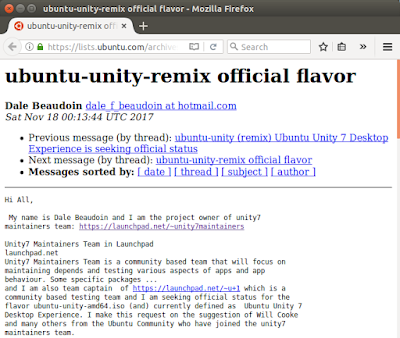 This means if Ubuntu Unity Remix got accepted as official flavor, then, we can use Ubuntu with Unity 7 again (just like in Ubuntu 17.04 and backwards). Also, being official flavor means it will be equal to Kubuntu, Lubuntu, Xubuntu, etc. having both LTS & Regular-9-months releases. We, long-time Unity users, don't need to waste our time installing Unity manually. Dale Beaudoin: the leading developer that initiated the Ubuntu Unity Remix Project. Khurshid Alam: the maintainer of https://launchpad.net/ubuntu-unity-meta. And many more. See them at Launchpad. 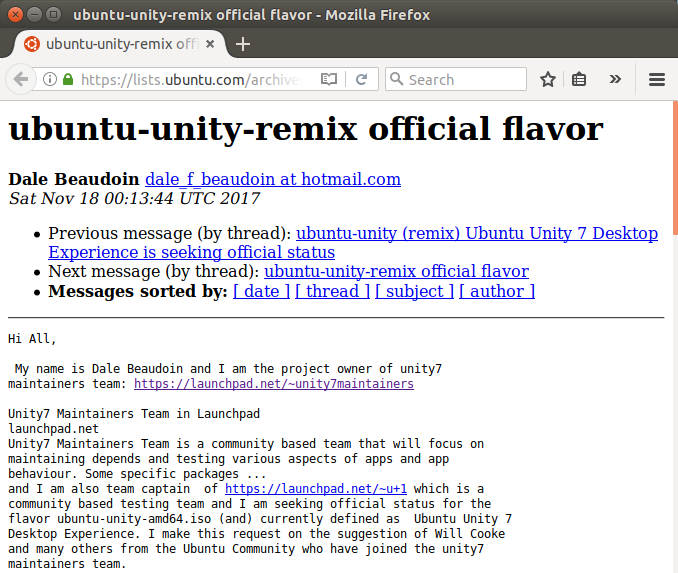 Mailing list announcement ("ubuntu-unity-remix official flavor"): this is the initial announcement of whole project by Dale Beaudoin. Refer here to know all about Ubuntu Unity Remix. Forum discussion ("Test daily/current ubuntu-unity-amd64.iso"): here you should come to see how Ubuntu Unity Remix being developed by its developers and users actively. Go here if you want to help the development. Forum discussion ("Unity 7 Continuation - Call for Developers and Supporters! "): this thread created by another person but followed up by Dale and Khurshid. Refer here if you want the history of pre-project. 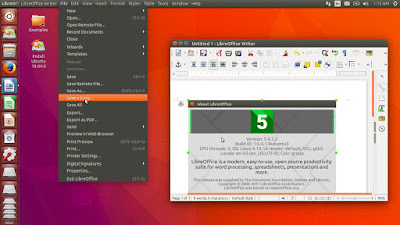 Forum category: Yes, this is a new category in the forum special for Ubuntu Unity Remix development. What a friendly community! Forum announcement: this is the older announcement (also by Dale) but for Unity 7 new maintainers at UbuntuForums.org. 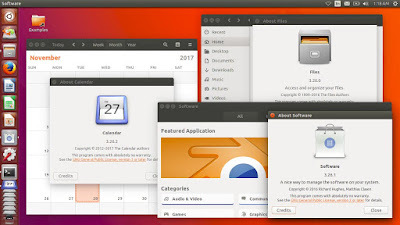 https://launchpad.net/~unity7maintainers: the official development website of Ubuntu Unity Remix (if you don't feel familiar: it's similar to a GitHub page of a project). https://launchpad.net/ubuntu-unity-meta: the 'Ubuntu Unity Meta' development page, the metapackage that will be 'the builder' of Ubuntu Unity Remix desktop. This one is created by Khurshid Alam. 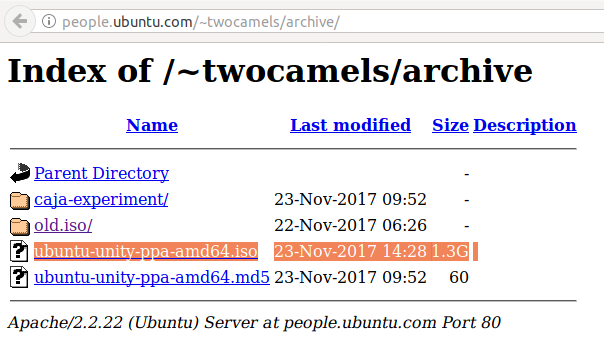 I run a LiveCD session of ubuntu-unity-ppa-amd64.iso build number 23-Nov-2017 to make these screenshots. Enjoy! 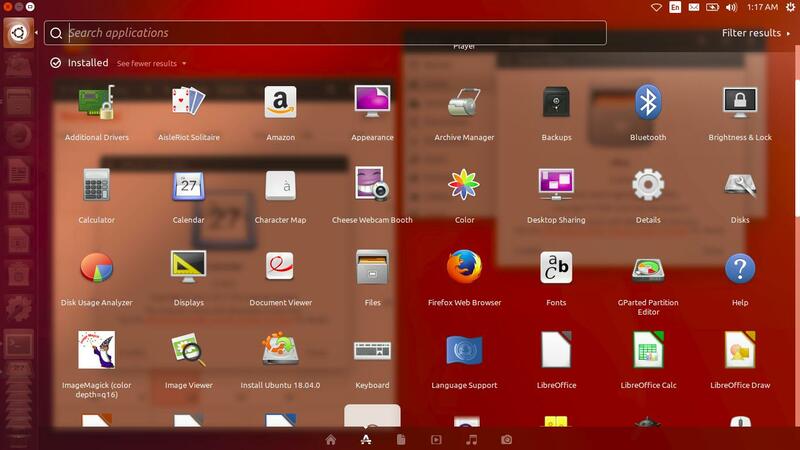 At first look, Ubuntu Unity Remix resembles the pre-Artful Ubuntu (17.04 and before). If you see the About This Computer from top-right button, you might see "17.10" as its version while it should be "18.04", that's normal because it's still development version. The Dash is still the same. And the "Filter results" button is still there. The uname -a says it uses The Linux Kernel 4.11 and lsb_release -a says it's already 18.04 "Bionic Beaver". The Head-Up Display (press Alt button while facing a window) works fine as usual. It works as usual, too. Actually, it's nothing special, except it gives you what's missing at 17.10 Artful Aardvark, the Unity Desktop. Because it uses Bionic Beaver as the basis, then, you get the latest LibreOffice 5.4 and GNOME 3.26 on it. This could be changed later (upgrade their versions, getting bugfixes, etc.) as it's being developed now. First, I like Unity. While I saw news about Unity 7 abandonment and Canonical's decision to use GNOME instead, I believed that someday a new Ubuntu with Unity 7 will come. 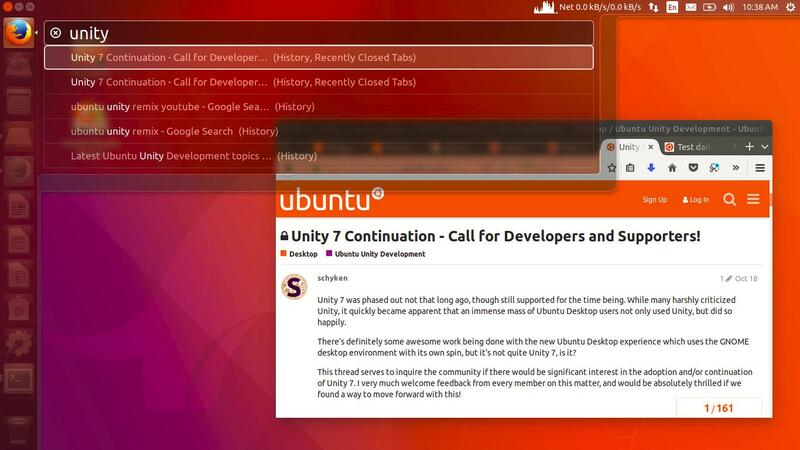 The Ubuntu Unity Remix is now likely the answer to my expectation. So this new Unity 7 revival project makes me happy and I believe, many of you will be happy too. 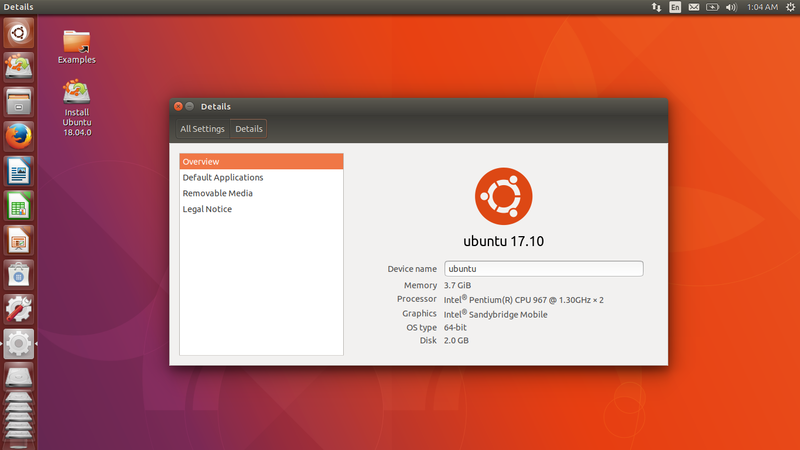 Second, my expectation is of course Ubuntu Unity Remix to become official flavor next year. Third, I hope the developers could provide 32bit version so the users using old computers can still use it. 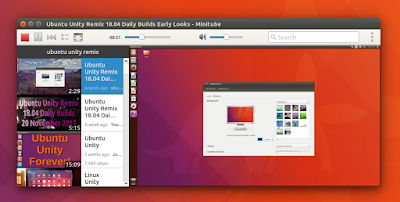 Fourth, finally, let us help the development of Ubuntu Unity Remix by informing the others about it or by directly joining the team. Thank you Ubuntu Unity Remix developers!